As the gateway to the wild west, the community of Golden has created a gorgeous artistic aesthetic emblematic of our wondrous natural beauty, the history of our gold rush, and the allure of Colorado. There are countless Golden art galleries and shops offering goods from sculptures to pots to jewelry all reflective of our city. No matter how diverse your artistic tastes, there’s always something inspiring in Golden with its Public Art program, the Foothills Art Center, several galleries, rich cultural scene and amazing natural beauty. Golden’s public art is just one of its many wonderful attributes. Many of Golden’s downtown galleries change their exhibits monthly so be sure to stop in often to see what’s new. Looking to purchase art? Many of our great local businesses offer steals on taking home a piece of Golden. The Silver Horse features an exceptional collection of western art, jewelry, boots, hats, home accents, and more. Spirits in the Wind Gallery has pottery, sculptures and outdoor art offering you the chance to take home a visual memory of Golden. From local jewelers like Creekside Jewelers to goldsmiths, Golden’s local artist offer art combining the Southwest feel with the Golden community history! Golden’s public art collection is renowned internationally and features some of the best bronze statues in Colorado. The over 30 bronze statues are located throughout the City. Rocky Mountain Hummer is Golden’s newest public art piece made with old car hoods. This unique hummingbird sculpture is located on South Golden Road at the Ulysses Street roundabout. You’ll also want to keep an eye out for bright and beautiful murals throughout downtown. Housed in a historic facility and surrounded by a sculpture garden, Foothills Art Center features two exhibit halls. The Main Gallery showcases blockbuster exhibits while the free Community Gallery features local shows. You can purchase gifts and art at their fantastic gift shop. 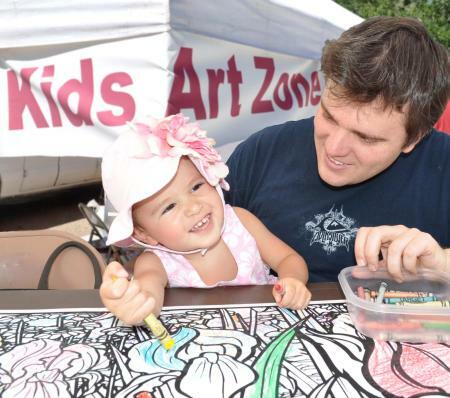 One of Golden’s favorite artsy events is the Golden Fine Arts Festival, which runs August 19-20, 2017 in downtown Golden and is free and open to the public. The festival is a juried show and features more than 130 artists in a variety of media, including ceramic arts, fiber arts, glass, jewelry, mixed media, painting, photography, sculpture, and 2D.